There are a lot of best emoji apps available at the Play Store. You can grab an application that supports cool emojis which can be used only within that app. In either case, you can also have a keyboard installed where you can get a lot of cool emojis. However, utilizing a messenger app just for the sake of exciting emoji is not much viable. You will only be able to send that emoji to the user that uses the particular service. So, utilizing a keyboard app seems to be a better idea to use cool emoji on Android and iOS. Also, if you want to try a unique emoji, you can search it on the web and copy it to your clipboard. And, later you could paste that onto a messenger to check if your device supports that. Whatever be the case, emoji support is not uniform between Android and iOS. Moreover, there is no guarantee of an emoji looking the same on the receivers end. Of course, justifying the rivalry, Android now puts a different set of emoji than it used to back then. To get you out of the boredom of using the default emoji, we present you the list of the best emoji apps for Android and iOS. Looking for the best emoji apps? Emoji apps cab help you get better emojis than stock ones. You can also get extra emoticons when you download any of the best emoji apps. Let’s explore our list of cool emoji apps for Android and iOS. 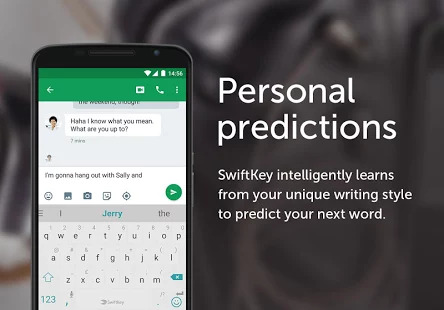 SwiftKey keyboard is a popular keyboard app for both Android and iOS. It brings in a lot of cool emoji icons that you can use for fun and make your conversation interesting. Along with the emoji support, it provides you with the best predictability for your conversations. With this app installed, you will notice that your keystrokes would have been reduced by almost 50% (that’s according to my experience). SwiftKey Keyboard’s user interface is better on Android than on iOS devices. However, if you want to utilize one of the coolest emoji apps, this would be the perfect one for both Android and iOS. You may find it awkward to use if you are acquainted with the 3D touch feature on Apple’s inbuilt keyboard app. But, the accurate predictions will cover those gaps while you miss using Apple’s default keyboard app. The good news- it is a free app that can help you get better emojis. KeyMoji is a cool emoji app that every iOS user should have installed. While you have it installed, you just need to type in what you want on Snapchat or iMessage or Whatsapp. After you are done, KeyMoji will translate the complete text to emoji expansion format – meaning a set of emoji would convey the whole thing. If you want, you can create it all by yourself as well. It’s pretty cool emoji apps for iOS to get extra emoticons. Similar to SwiftKey keyboard app, GO keyboard is yet another popular keyboard app to have installed on both Android and iOS. GO Keyboard is specific to have when you want a lot of customizability and tons of cool emoji icons. Unlike SwiftKey’s inability to provide 3D Touch feature, it’s support for 3D Touch makes GO Keyboard a nice alternative keyboard app to get cool emojis. Also, emoji can be used with the 3D touch feature. So, it’s definitely something exciting to have if a user is fond of using emoticons most of the time. 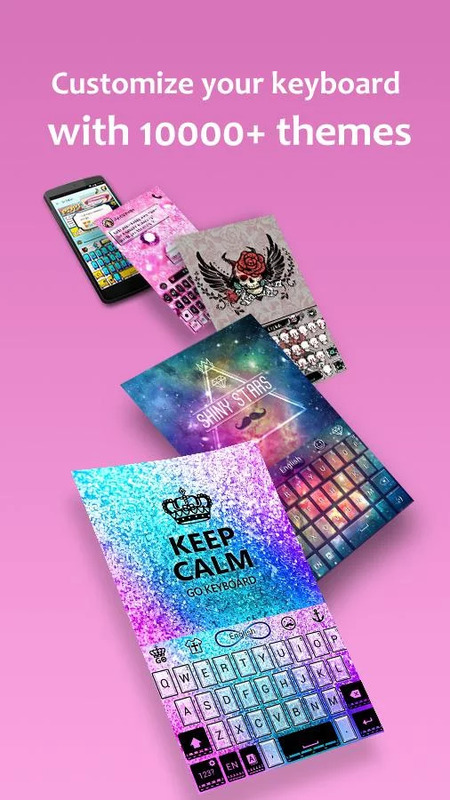 In addition to that, the keyboard brings in several beautiful themes, GIFs, and stickers which you can make use of to improve your user experience. Emoji Keyboard by LINE is a cool emoji app that you could utilize especially when you are a LINE user. It is not just any ordinary emoji app but a keyboard app that comes baked with useful features. 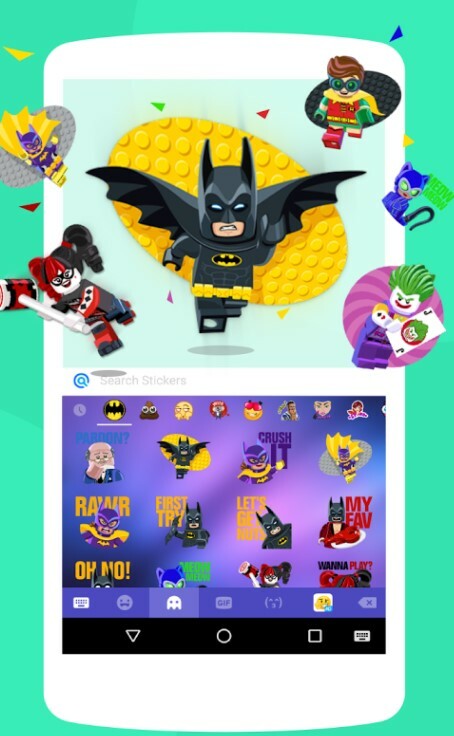 It offers tons of unique emoji and stickers. You may find similar emoji icons for Android, but you won’t find such for iOS devices. So, you’ll find this incredibly useful for iOS devices. 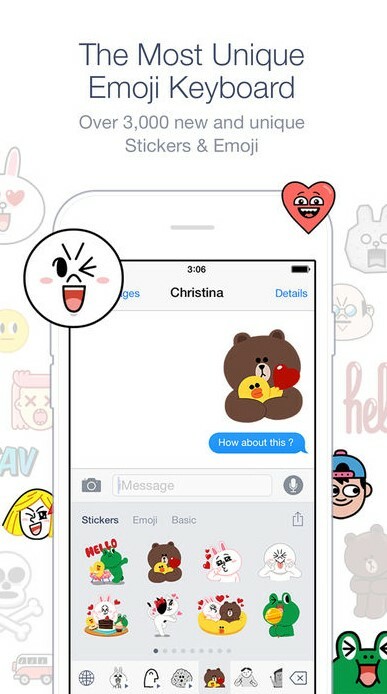 Along with cool extra emoji icons, it supports animated stickers which would make your conversation lively. It’s an excellent emoji app to have installed especially if you are a LINE user. Emoji Keyboard is yet another cool emoji app available for Android. It features all the basic functionalities a keyboard app must contain, and also provides cool emoji icons. Emoji Keyboard is specially tailored to deliver several emoji icons to the users. Along with the cool emoji icons, it also lets you fill with a text face that looks, even more, cooler letting people think that you made the emoji through the text mode quickly! The fun does not end here; it also enables you to send GIFs to make the conversation even more interesting. You can also customize the keyboard the way it looks convenient to you. If you are looking for a cool emoji app to get extra emoticons, Emoji Keyboard Cute Emoticons is the emoji app you need. 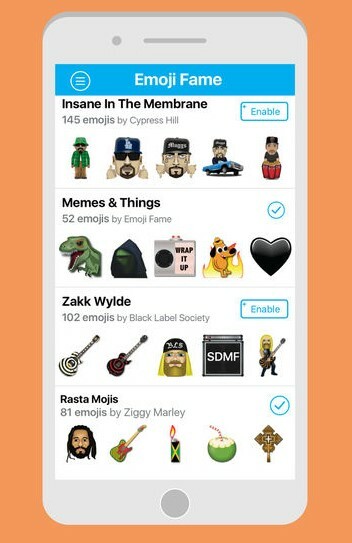 Emoji Fame lets you create a custom emoticon with the help of a brand or celebrities existing avatars on iOS devices. In this case, Emoji Fame claims that the avatars are licensed by the actors and artists which you can make use of through in-app purchases. Unlike other emoticons, you cannot use Emoji Fame for WhatsApp, Facebook or Twiter. You can only utilize Emoji Fame while sending text messages (iMessage) and email as well. The emoji generated by this emoji app are generally images that you can embed as a sticker, so it does not work with other applications. 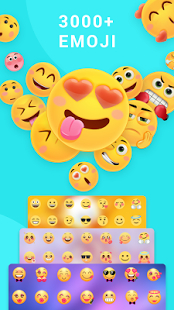 Emoji Keyboard Pro is an excellent emoji-keyboard app developed by Kika Keyboard Tech. It may not be the best emoji app, but it is definitely one of them. You can find several unique emojis to use in the conversations. Also, you get to utilize several fonts and also it gives you the ability to make your own theme to tailor the user experience according to your needs. With this feature, the user experience scores a 100, because each user gets to create and customize however they want the keyboard app to look like. Emoticon.s is a free emoji app available for iOS devices. You may not have heard about it before, but it presents quality emoticons for the said purpose. Well, yeah, it does provide you with a set of unique emoticons, but there is something more about it that people love, i.e., – 3D Emojis. The good news is that you can try it out on wherever you want to start your conversation, whether it be the WhatsApp, LINE, Messenger, and so on. ai.type Free Emoji Keyboard is available for both Android and iOS. 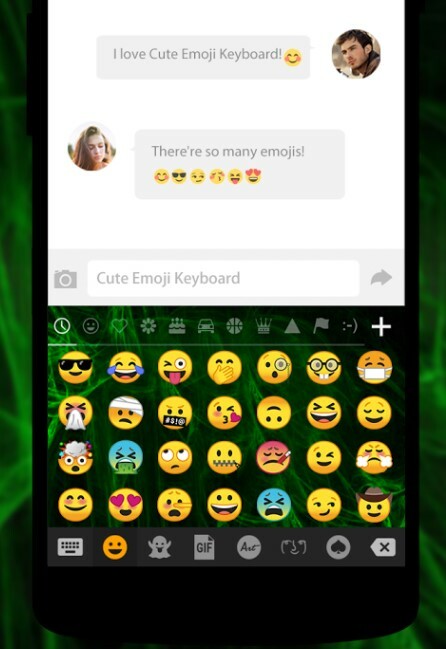 It is a fully featured emoji keyboard that you can utilize with other messaging applications as well. It lets you customize the look according to your preferences and is smart enough with emoji predictions as well. Along with the emoji support, it steers clear with a lot of languages to offer with a simple swipe. 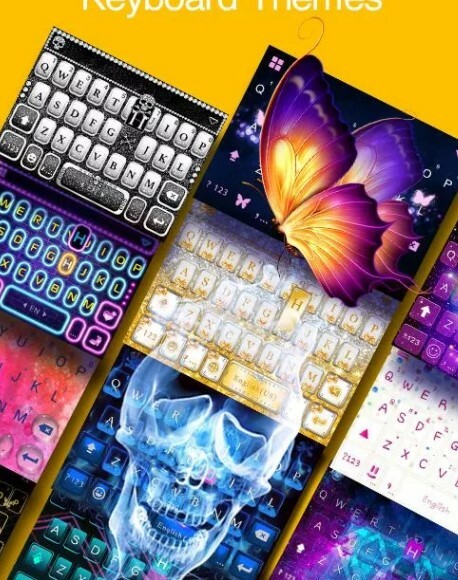 Kika Keyboard is not the product by Kika Tech but is the courtesy of Kika Keyboard team. Emoji Keyboard Pro has no relations with the team of Kika Keyboard. 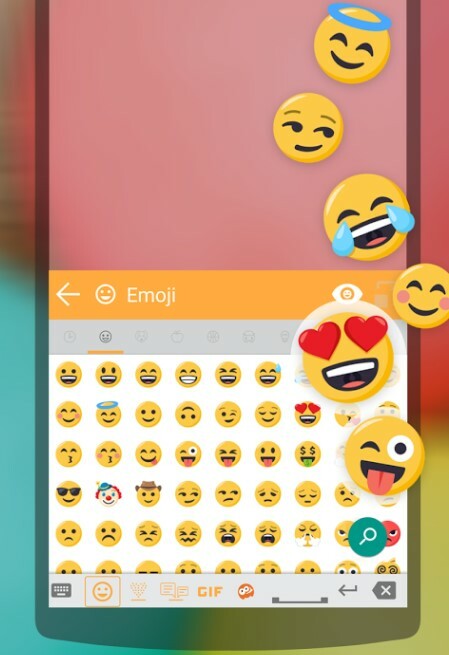 It offers a lot of emojis to choose from which can be used with other chat apps as well. Just like some other emoji apps, you can set a custom theme and regularly gets updated with new set of emojis. As we just saw, there aren’t any dedicated emoji apps that let you use emojis while on a conversation. So, the keyboard app integrates tons of emojis to give a user the ability to use them all to make conversations more interesting and engaging. Whether you want the capability of predictions, auto-correction, theme customization, 3D touch emojis, and so on. You have an emoji app that meets each of the purposes. Finally, you’ll be the judge and according to your preferences choose the best emoji app for you!